We are a friendly support group for OFSTED registered childminders and nannies who look after children, providing a very safe environment in which the children can play, have fun and learn social skills with friends. We run every Tuesday and Thursday morning during term time. There is a time of free play with the many toys and supervised craft activities, followed by drinks and snacks for the children (and adults) to enjoy. We always end with song-time. 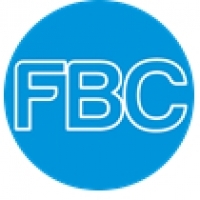 Frimley Baptist Church is a Christian community of about 250 adults plus children and young people. Although 'Baptist' is in our title, we see ourselves primarily as a church for our local community and for people of all Christian backgrounds and of none. We work together with the churches in the local area to support the community and this group holds joint events throughout the year. We have an active youth department and hold various children's groups during our Sunday services. We also have a number of different activities that take place during the week. Please see our website for further information.